The Electro Harmonix Enigma Envelope Filter for Bass is a powerful and precise envelope filter fine-tuned for bass frequency response. 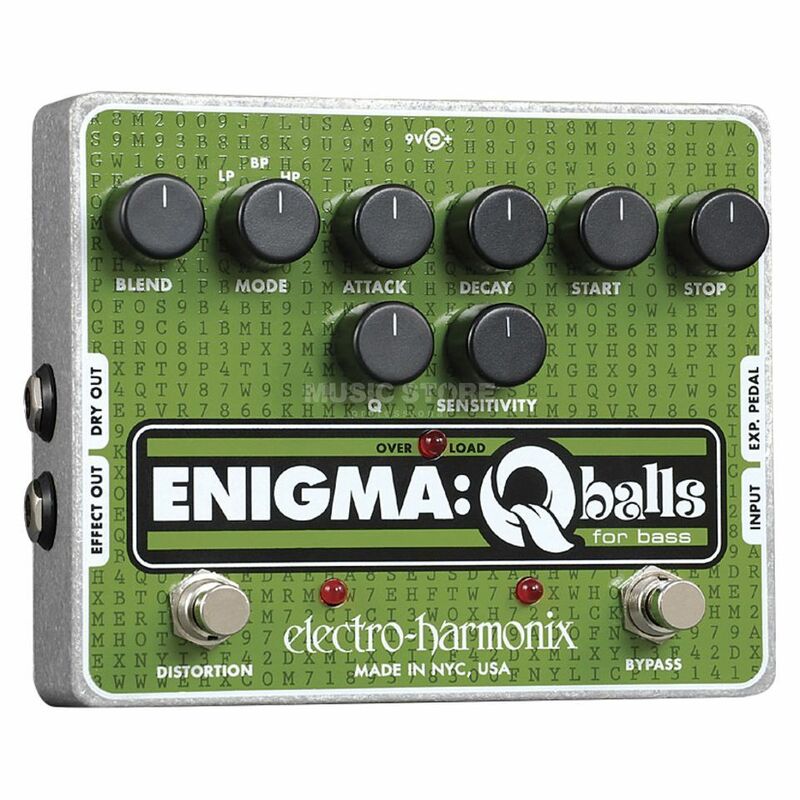 The Electro Harmonix Enigma will deliver tight and smooth control over the complete 40 Hz to 3 kHz range, with a consistent and even sweetness. You can get great sounds out of this pedal. But you really need to experiment a lot with Start and Stop Frequencies. Build quality is excellent. Distortion is just ok, but, I dont really use it anyway. Great price for the features.